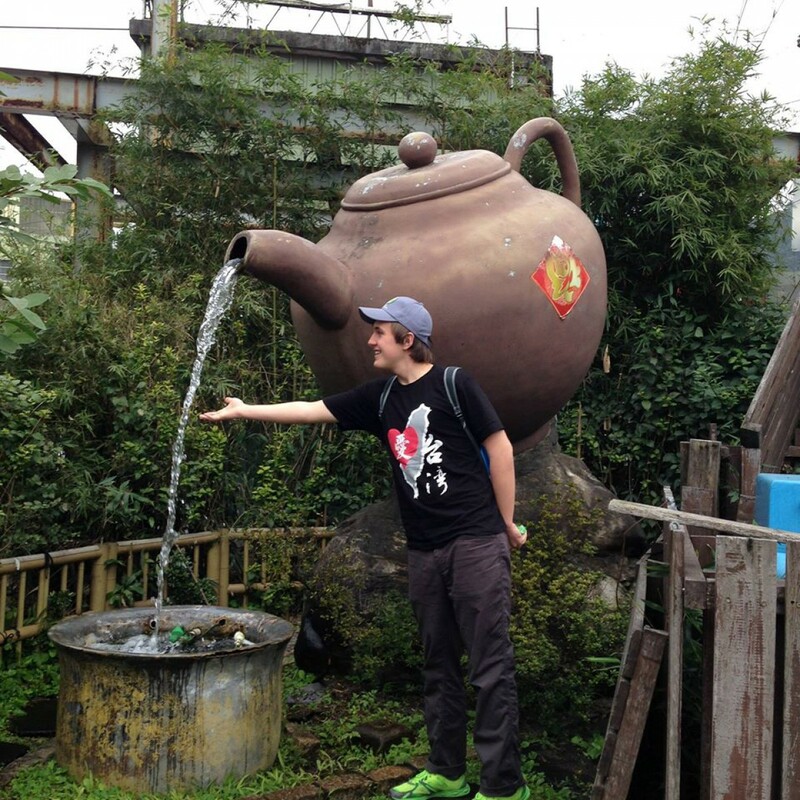 Here is a photo of me at the Pinglin Tea Museum in Pinglin, Taiwan. Don’t judge me because I’m wearing a groutfit. It’s not a regular occurrence, I swear. Hey, thanks for visiting! Please stay a while. My name is Hunter and I live in Maine, USA. I’ve had a major interest in tea and Asian tea culture since I was about 8 or 9 years old, and I know it will be with me for life. I’ve been writing on Steepster for quite a while, so if you are interested you can read some of my tea reviews there. I felt like I was ready to break off from Steepster and start my own site. As far as tea goes, I’m generally a huge of Taiwanese oolongs, as well as some Chinese oolongs. I am fascinated by Chinese (Yunnanese?) puerh teas, but that is a relatively new interest of mine so I am not too knowledgeable (yet!) on the subject of puerh tea. I also enjoy Chinese and Japanese green tea from time to time. I don’t generally mess with white teas or black teas as much, but I’ll try anything that comes my way. If I had to pick one tea to drink, I would probably go with a Li Shan oolong, especially the winter harvests. Or perhaps a nice Bai Hao/Oriental Beauty/Dongfang Meiren. Just like most things in life, there are simply too many teas to just pick one. Luckily, we don’t have to! We can enjoy every permutation of the wonderful Camellia sinensis plant, and that is exactly what I plan to do. Outside of hoarding and drinking an insane amount of tea, I like to study Environmental Science and read food blogs. If you ever find yourself in Maine, please feel free to contact me! I’m the world’s most extroverted person, so I’m sure I would love to meet up and talk tea…and of course drink tea! It was good to meet you the other day in Maokong. Hope the bus finally came. We started driving yesterday and went through Pinglin. The museum was open but honestly rather disappointing. But they did manage to call up a farmer and let him know that three waiguoren wanted to come look around, so we got to walk around a farm a little and poke at the bushes and processing equipment. And taste some baozhong and buy some. We’ll probably be back in Taipei Wednesday, and then I have to visit Yingge. Any advice for finding good stuff there would be appreciated 🙂 And what’s with the Friday evening thing at water moon?